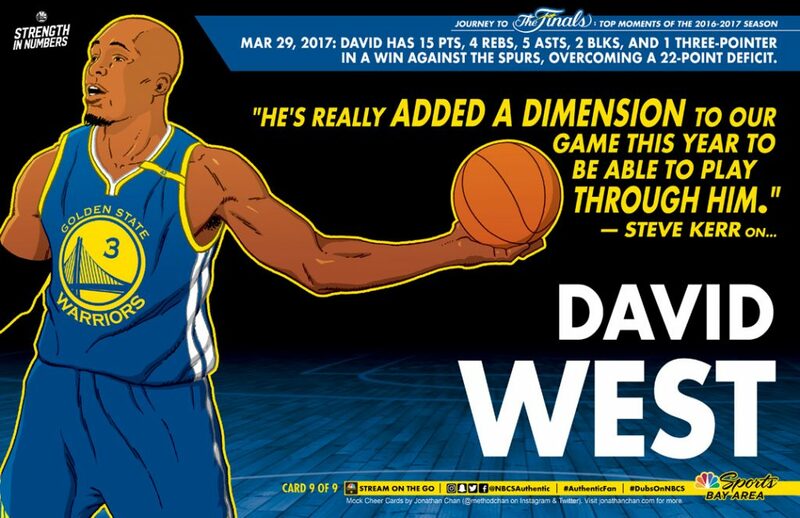 Needed to do one last #WarriorsWeek homemade Cheer Card for David West! Been a fan of his since he got into the league and was so happy to have him on the Ws this season. Excited to have him back for one more year! Inspired by the NBC Sports Bay Area artist cheer cards for the Oakland Athletics, decided to create my own versions for the Golden State Warriors. Check out my gallery for my eight previously made cheer cards! GO DUBS!